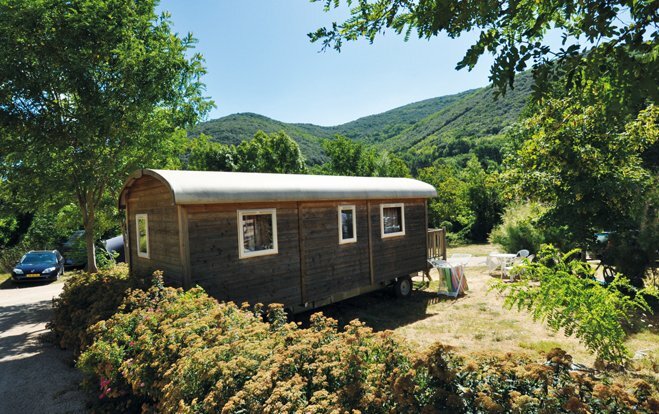 Les Cerisiers du Jaur in St Pons de Thomières, welcomes you in the heart of the Regional Natural Park of the Haut Languedoc. 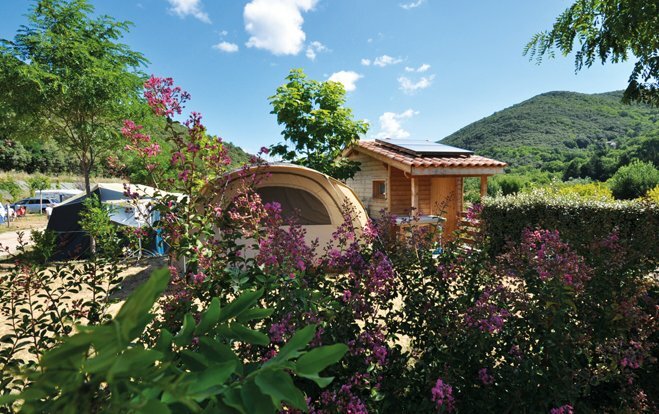 In the middle of the mountains, between Mediterranean sea and lakes, this campsite with swimming pool is bordered on one side by a charming river, the Jaur, where flows a beautiful waterfall, on the other, by an old railway line rehabilitated as a "green track" to allow everyone to cycle or walk in complete tranquillity. You can choose between different types of accommodation. We offer classic pitches with water, electricity and drainage as well as pitches with private sanitary facilities (shower, washbasin, WC and sink) on your pitch. 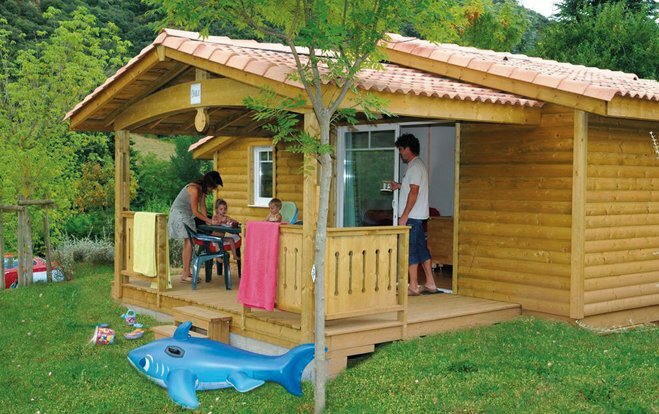 For more comfort, take advantage of our wooden bungalows and chalets. The most sporty residents of the campsite will enjoy many outdoor activities such as canoeing, canyoning, speleology, climbing, rock climbing, climbing, via-ferrata, hiking in all its forms (ATV, horseback riding, hiking, orientation...), alternating with the idleness at the edge of the swimming pool. The others will enjoy the region’s cultural heritage and its geographical riches. To spend an unforgettable holiday at the campsite with swimming pool, you will benefit from the pleasant Mediterranean climate, the exceptional natural setting and the services offered by the campsite with swimming pool. The beach of the campsite is situated on the banks of the river Jaur. You will be able to swim, enjoy the sun and the waterfall! This beach is reserved for camping guests only. As an alternative to camping with swimming pool, come and enjoy a real natural swim in an idyllic setting.